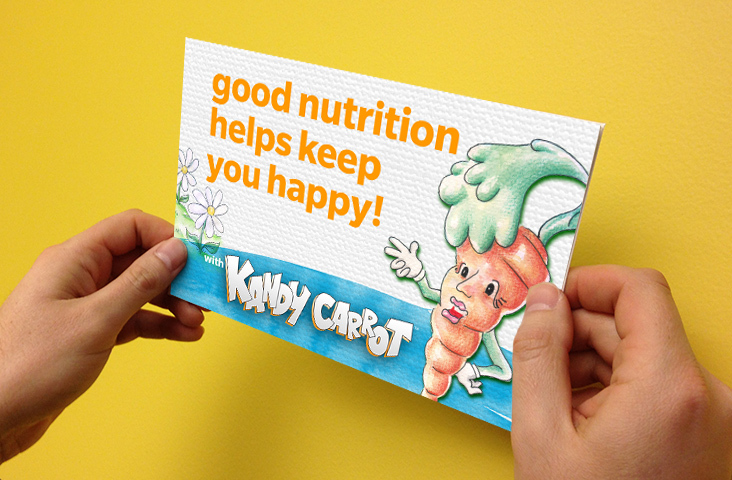 Developing good eating and nutritional habits is all about fun. 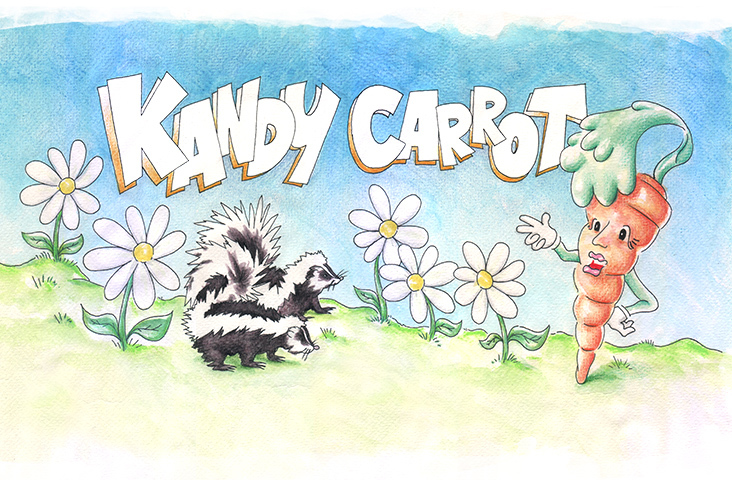 Kandy Carrot is an original character and universe that revolves around helping children develop good eating and nutritional habits while keeping it all about fun. The unpublished pieces were developed to be simple and inviting for children ages 4 to 9. 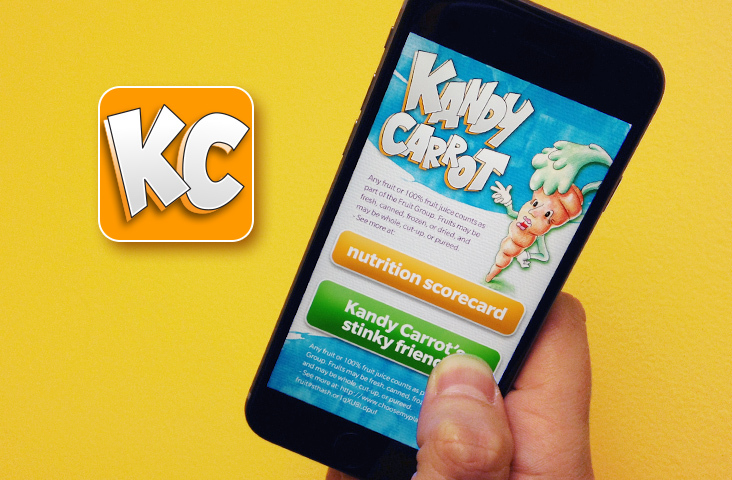 The app was to be a nutrition counter as well as an interactive game where Kandy’s “friends”, Strip and Strap are pointed away from eating food that’s not good for them to a healthier, happier lifestyle. 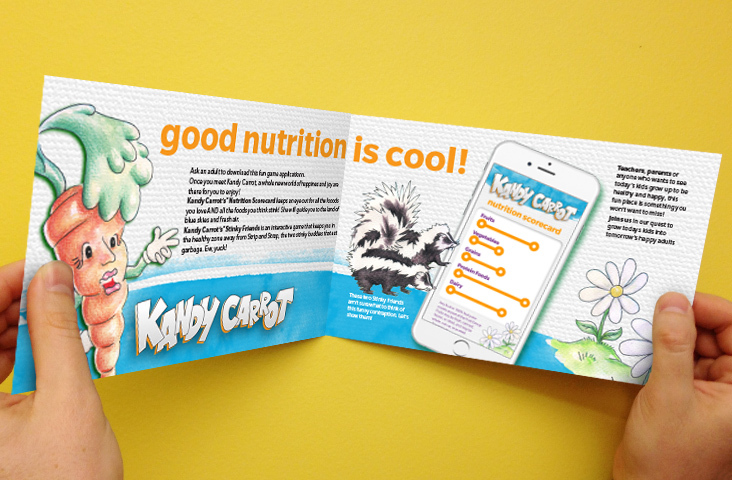 The brochure introduces the Kandy Carrot character, vision, and promotes the app.